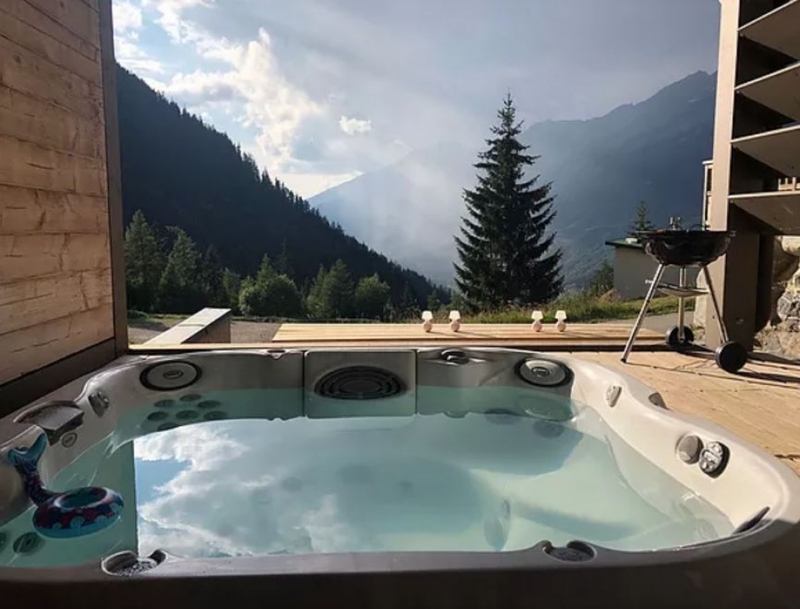 Chalet Services provides several charming chalets for rental winter and summer in Valfréjus, Maurienne Valley-Savoie in the French Alps, on the Italian border. Each chalet is decorated in a different style and can comfortably accommodate 8 to 12 people all year round. Our aim is to make sure you feel at home. 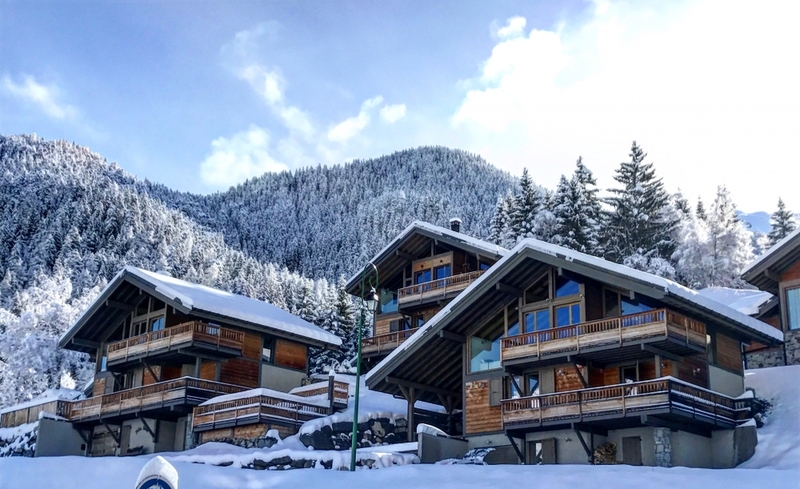 All chalets are located near the ski lifts and the centre of the resort. 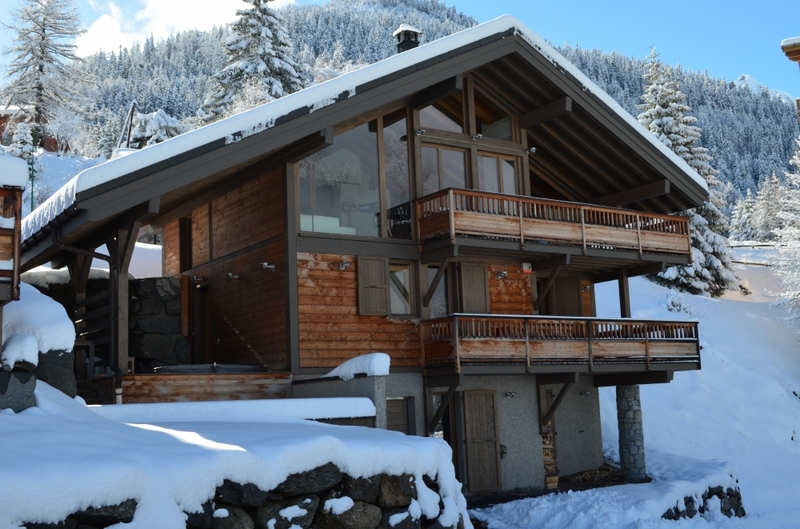 Chalet Punta Nera is an individual magnificent chalet with 4 bedrooms and 4 bathrooms for up to 10 people. High-quality materials were used for construction. The chalet has a beautiful chalet look, the quality of both the finish and the decor is very comfortable and luxurious. The "Scandi" decor gives a wonderful, homely atmosphere. There is free Wi-Fi in the chalet and you can park cars just in front of the chalet, free of charge. Chalet Punta Nera is located at the entrance of the village. 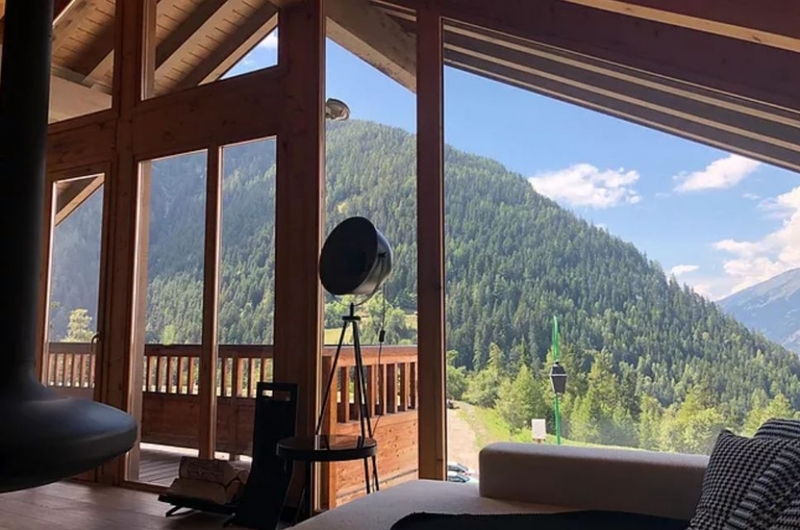 The chalet is quietly located overlooking the valley with a breathtaking view on the National Vanoise Park. The Charmasson chairlift is within walking distance of the chalet and from there you can ski to the cabin lift via a green slope. You can ski back only 150m away from the chalet by the Charmasson piste. Winter entrance, ski room with ski boot dryer, sitting area with storage space to prepare yourself for going off to ski. And in summer you can store your bicycles in this room. Laundry with washing machine and dryer, freezer. 1 Bedroom with double bed (sleeps 2) ensuite bathroom: shower and sink. 1 Bedroom with a double bed (sleeps 2) ensuite bathroom, shower and sink. 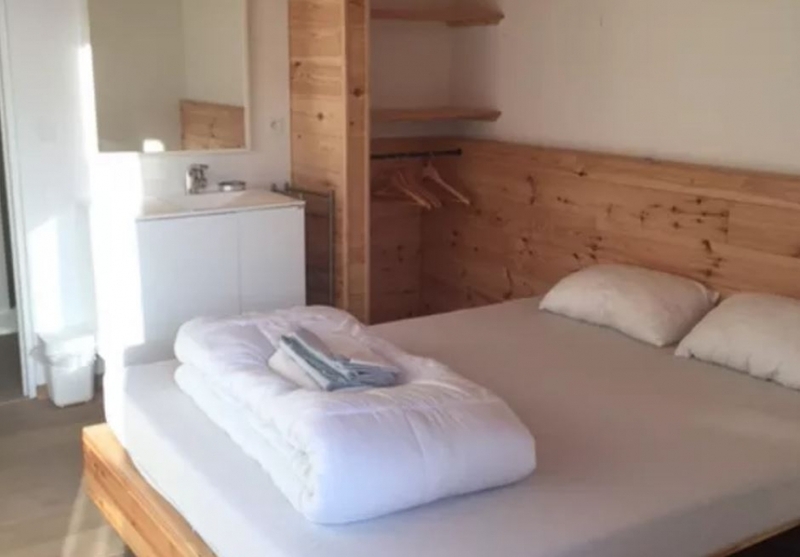 1 Bedroom with a double bed (sleeps 2) with sink. 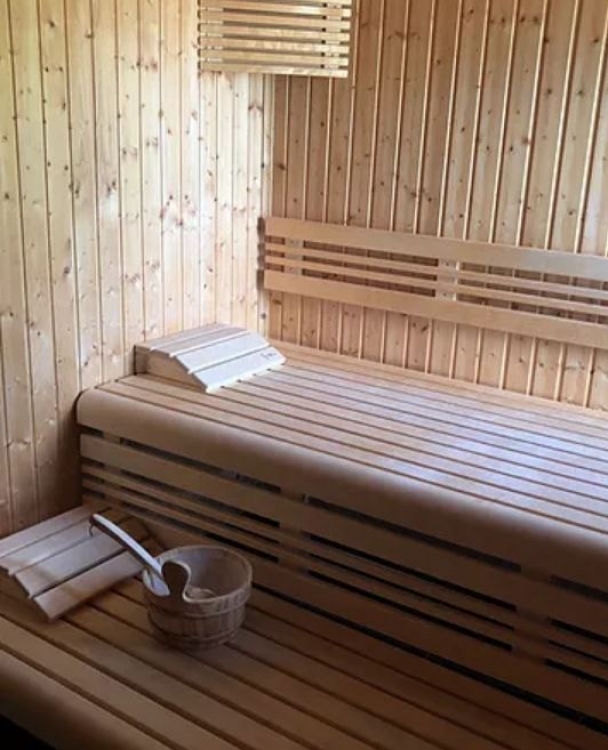 Relaxation area with sauna, shower and cold plunge-pool. Access to a covered terrace with spa and breath-taking mountain view. Uncovered terrace with outdoor dining table. Large living room with open fully equipped kitchen, dining area, lounge area with large sofas and central wood stove, television corner with flat screen TV. The kitchen is equipped with a large refrigerator, oven, microwave, dishwasher, induction hobs and a hood. 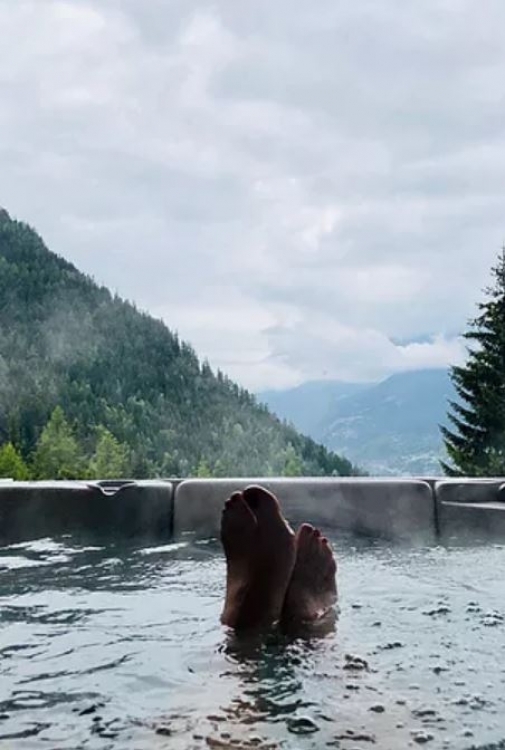 Thanks to the room-wide glass wall in the living room, you have a fantastic view down the valley, the Vanoise massif and the Chavière glacier. Also access to the equipped balcony, west-facing to appreciate the surrounding summits. In the chalet there is electric underfloor heating and you can use the stock of wood for the stove. There is also a DVD player and a radio and docking station for your Ipod, as well as a small stock of DVDs and books. A baby cot and high-chair are provided on demand. 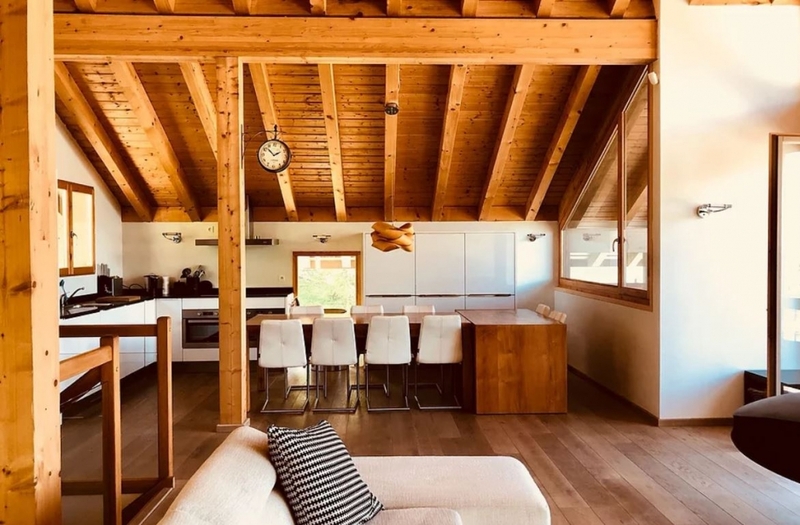 The chalet is fully furnished and the kitchen fully equipped, you will find : a Nespresso coffee machine, filter coffee maker, toaster, kettle, electric mixer, raclette service, fondue set and grill plate. There is sufficient crockery and glassware in the chalet. In the storage room you will find, the washing machine and dryer as well as an iron and an ironing board, a vacuum cleaner and freezer. All beds are very comfortable and have duvets and pillows. There are no pets allowed in this chalet. 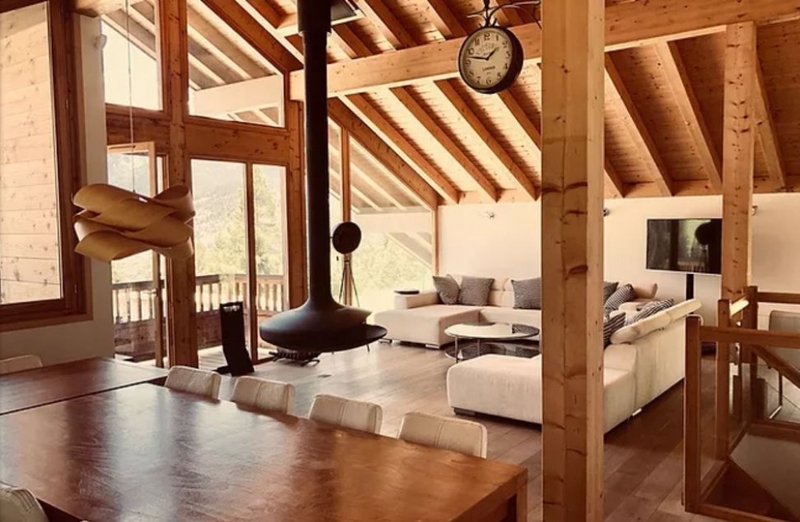 Chalet Services offers several charming chalets for rental in Valfréjus, Maurienne Valley-Savoie. 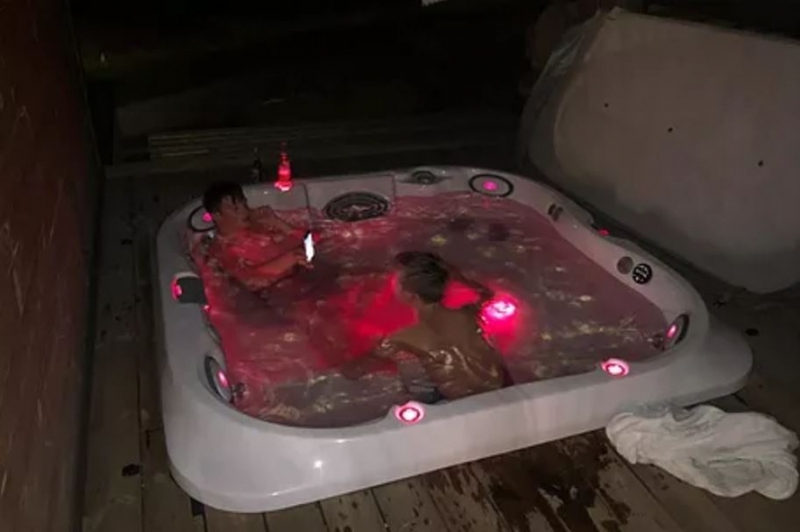 Chalet Punta Nera is an individual luxury chalet with 4 bedrooms and 4 bathrooms with a spa and sauna. Nespresso coffee machine, filter coffee maker, toaster, kettle, electric mixer, raclette service, fondue set and grill plate. Free parking spaces at your disposal near the chalet. Free WIFI. Final cleaning, the chalet must be left in a correct state of tidiness. The tourist tax that amounts to € 1.50 / person + 18 years / night. Breakfast, possibility of booking (price on request). Deposit: 750 € to be handed over when the keys are handed over and to be returned after the state of exit. In case of deterioration, the tenant must report any anomaly before departure. 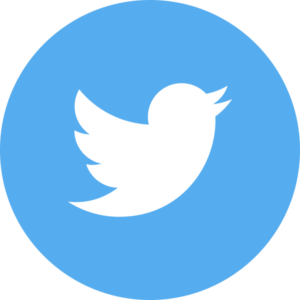 The damage assessment will be done on site and deducted from the deposit.